First of all, SEO professionals do not wear colored hats. The term’s origins come from the Westerns, in which the hero wears a white hat and the villain wears a black hat. The term “hat” is used in both the SEO industry and hacker community. 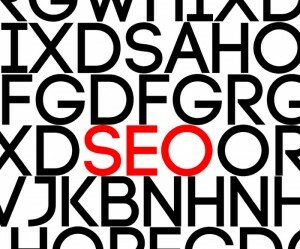 In the SEO industry hat refers to the types of tactics, techniques, and strategies used by the SEO professional to improve a website’s ranking. In the most basic terms, the difference between white hat and black hat is whether the SEO techniques, tactics, and strategies are in accordance with Google and other search engines’ guidelines. Black hat SEO uses tactics that violate the search engine’s rules and for that reason, carry the risk of getting caught up in algorithm changes that try to catch the rule breakers. White Hat SEO uses tactics that follow the rules set out by search engines and therefore, carries little or no risk. Creating well-written, relevant content for a website is one of the most important steps to optimizing a site for search engines. Separating the content from the design using CSS helps search engines find the content Clean, well-written code is what search engines want. Be sure to check your code with a validation tool to find any errors. Titles state to users and search engines what the following content is going to be about. The Title tag is what is displayed as the link to your content in search engine results. The first step is researching the keywords and key phrases people use to find your site to figure out which keywords to target. Then using those targeted keywords to create a high density of the same, or related keywords on the site. Quality links come from other websites that are considered reputable by search engines and contain content that is relevant to your page. When it comes to links, always remember quality over quantity. First figure out which social networks customers and prospective customers like to use and then deliver content that they will want to “like”, “pin”, “share”, etc. The weight and value of social media in SEO is debated, but it is likely that it will be important for rankings going forward. Hidden content has been around since the beginning of search engines and rankings. It began with sites changing the text color of keywords and phrases to white so users wouldn’t see the text, but search engines would. Today there are many different techniques to hiding content, but they are all designed to achieve the same goal of hiding content that is stuffed with keywords so that it is only visible to search engines. A few techniques to hiding content are to use the HTML comment tag or noscript tag, and to create an invisible area on the page. These types of websites are not designed for users; instead, a doorway page is designed to rank the page for a specific keyword or key phrase. Doorway pages are never actually seen by users because users are automatically redirected to the target page. But the search engine’s web crawlers can see doorway pages. Simply put, this tactic is exchanging money for links or a post that contains links. For this tactic money can take the form of monetary payment, goods or services, or free products. With cloaking, websites can display a completely different HTML page based on the IP address or user agent. If the user is identified as a web crawler, a different version of the web page is delivered. The web page presented to the search engine’s web crawlers contains content not presented on the visible page. Cloaking allows SEO professionals to target search engines and site visitors separately. This technique can be used to trick search engines into giving a site a higher ranking. It can also be used to trick users into visiting a site that contains totally different content than the search engine described. Keyword stuffing is an older tactic that used to be very popular. With this tactic content is created to fit as many keywords in as possible. The user and quality of the content are not considered when writing this type of content because the purpose is keyword density. The keyword stuffing often takes form in lists, block paragraphs of keywords, and using keywords and phrases so often in the content that it becomes unnatural sounding. This tactic can result in content that makes no sense to end-users. *Note: Writing to a specific keyword density is not black hat, but can be considered best practice. The key is writing naturally about the subject and the keyword density will take care of itself. What happens if you get caught using black hat SEO tactics? If a website is caught using tactics that violate search engines’ guidelines, the search engines will demote or remove the website from its ranking. A best practice is to set up Google and Bing Webmaster Tools. These tools report potential issues, send alerts if the site has been blacklisted, and may provide steps for correcting the problem. Is there really such a thing as a pure white hat SEO professional? Some SEO professionals believe that there is no such thing as 100% white hat SEO. Instead they believe in a third hat called grey hat SEO, but that is a topic for another blog. be indexed by search engines either, which is likewise poor marketing. rankings, so make sure that you’re always saving files with keywords. when you conserve the image. Prevent utilizing keywords that are of no significance to your site or product. to desire your customers to see initially. your page. By doing this you can push to the top of the list much simpler. can equate to big outcomes. Get started on your optimization by utilizing exactly what you have actually learned right here. White hat techniques work but it will take some days. Many don’t understand that and they use blackhat and ruin their site/blog. i am confusing many big seo companies are still using black hat software and techniques, is it safe for those clients who wants quick results?